You can literally say that Citin Hotel Masjid Jamek is placed in prime location, surrounded by tourist attraction, China town, Masjid Jamek, Merdeka Square and so on. Also, to travel around Malaysia, we are just opposite to Pudu Sentral bus terminal and Plaza Rakyat STAR LRT train station. Its strategic location and accessibility by subway trains makes it a popular shopping destination for both upper class locals and tourists. Suria KLCC has 6 levels of retail outlets, offering an array of goods and services to please and pamper the needs of shoppers; from fashion, entertainment, arts & culture to local delicacies and international gourmets. By train: Putra LRT which stops right at KLCC station. 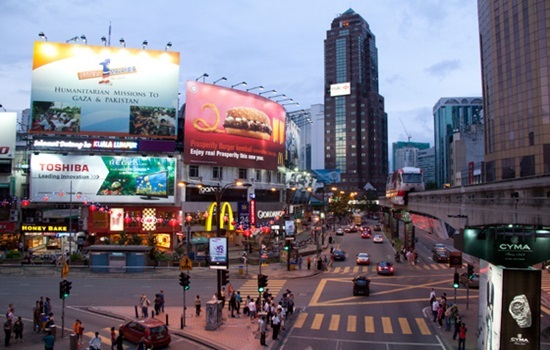 Bukit Bintang area is at the meeting of three main roads: Jalan Bukit Bintang, Jalan Pudu and Jalan Sultan Ismail. 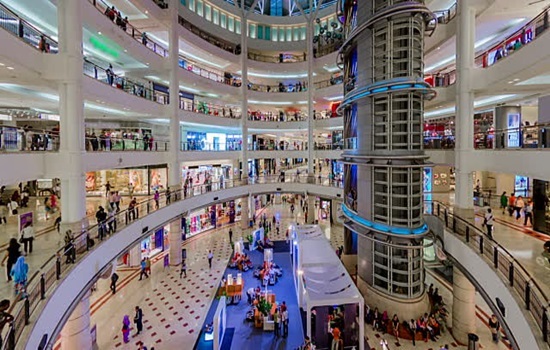 The major shopping complexes that are located here are Starhill Gallery, Sungai Wang Plaza, Bukit Bintang Plaza, Lot 10, Low Yat Plaza and Imbi Plaza. They house an average of 450 shops per mall for endless shopping on clothes, high-tech electronics, perfume and other goods. 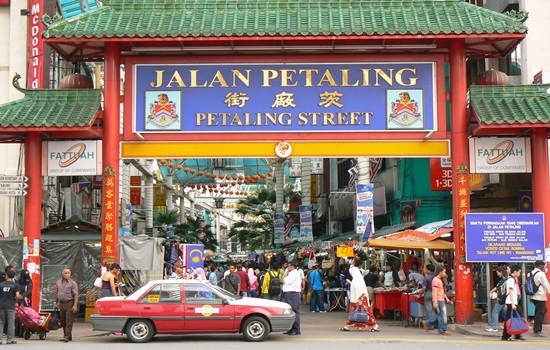 Petaling Street or known as Chinatown among tourists is the centre of Kuala Lumpur's original Chinatown. The entire street is closed to traffic during the afternoons as traders set up stalls and is well known for its extensive selection of stalls and bazaars selling various kinds of products ranging from handbags, watches, clothes, caps, shoes, sunglasses, fabrics and even souvenirs. Food is plentiful here with scrumptious varieties to choose. 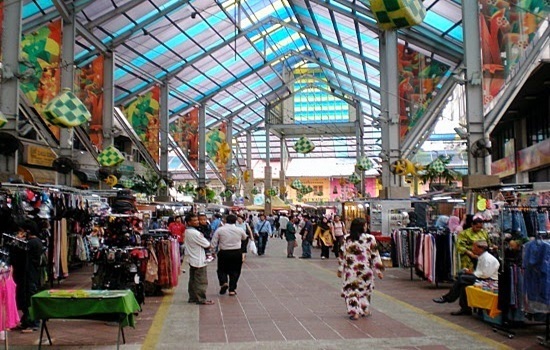 Jalan Masjid India is a popular road in the heart of Kuala Lumpur. The streets are lined with an array of goods from colorful sarees to jewelry, food to fabrics. The place draws huge crowds during the weekends and before major festive seasons such as the holy month of Ramadan you will be delighted by the assortment of food on sale. There are also a number of restaurants serving a variety of cuisine, from Malay to Indian and Mogul dishes. 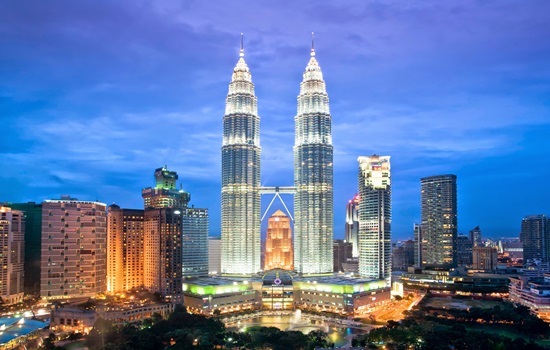 Petronas Twin Towers is located at the heart of the capital city of Kuala Lumpur and at 451.9M and 88 floors. The towers contain a complex of office buildings, conference halls, a park and an up-market shopping complex, known as Suria KLCC. The Sky Bridge tour is available where you can enjoy a panoramic city view below. The entire tour will take approximately 10 minutes. To beat the queue, the best time to go would be early in the morning. Tickets are free of charge and handed out on a first-come-first-serve basis. 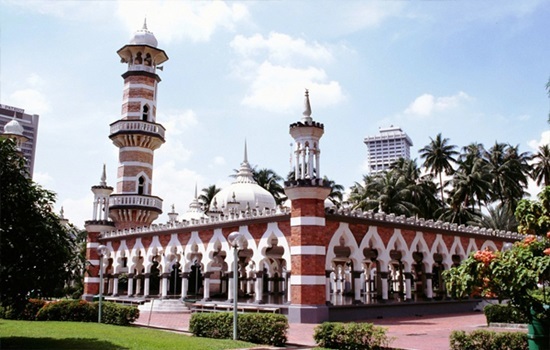 Masjid Jamek is acclaimed to be the oldest mosque in Kuala Lumpur and is located at the convergence of the Klang and Gombak Rivers. Commonly known as the Friday Mosque, Masjid Jamek receives loads of people who come for their ritual prayers on Friday. A visit to Jamek Masjid would be an enlightening experience. NOTE: As you're heading for a mosque, remember to wear full-body covering attire. 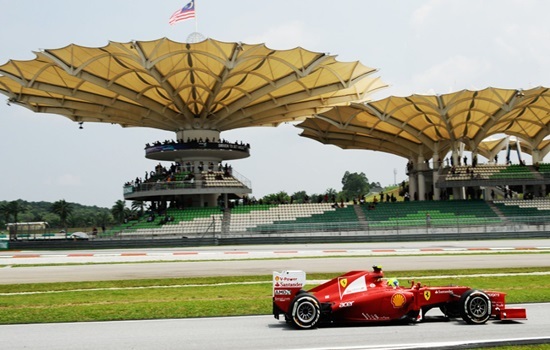 Sepang International Circuit is located 85km from Kuala Lumpur city centre and is home to the Malaysian leg of the Formula One World Championship and World Motorcycle Grand Prix. It is easily accessible via highways and railway links and it is an ideal place for international events. Circuit tours are available but only with advanced notice. However, walk-in visitors can visit the Mall Area and the Welcome Center. Genting Highlands, a magnificent city on the hilltop, is a mere 50km from Kuala Lumpur. There are six hotels in Genting Highlands Resort as well as serviced apartments and residences. 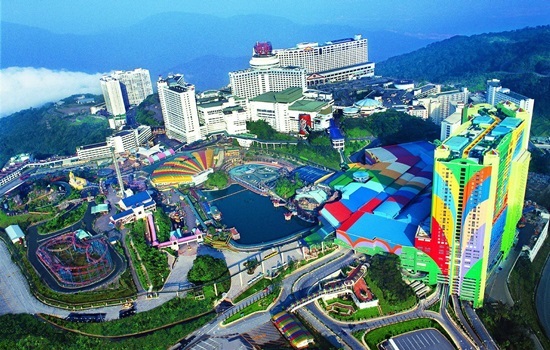 Genting Highlands has two theme parks, an indoor and outdoor park that includes over 50 fun rides, 150 outlets. 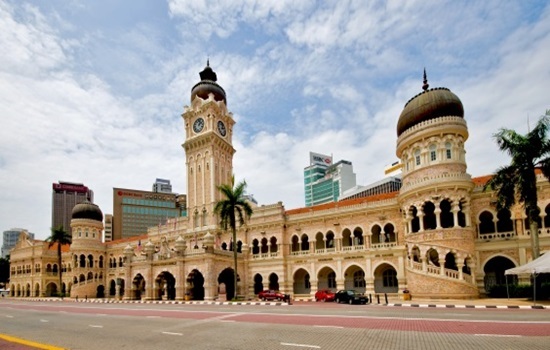 It is also home to the only casino in Malaysia that has been used as the backdrop for many popular Asian and Hollywood films. The highlands are further enhanced and complimented by a superb range of facilities such as the longest cable car system in Southeast Asia and the Arena of Stars. 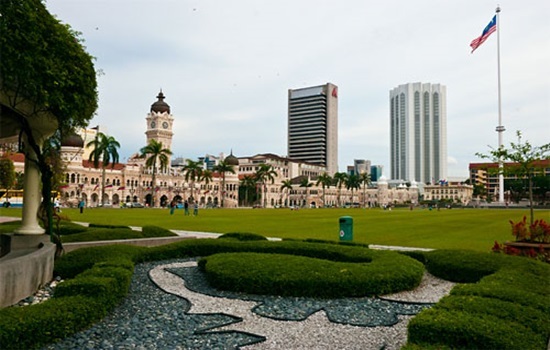 Merdeka Square is one of the most important historical landmarks of Malaysia. It is close to the Gombak River, Masjid Jamek, Central Market and Chinatown. It used to be the focal point of KL and the field was the venue for police parades & cricket matches. It is now a beautifully landscaped area with gardens, terraces, fountains and a popular spot for photography. 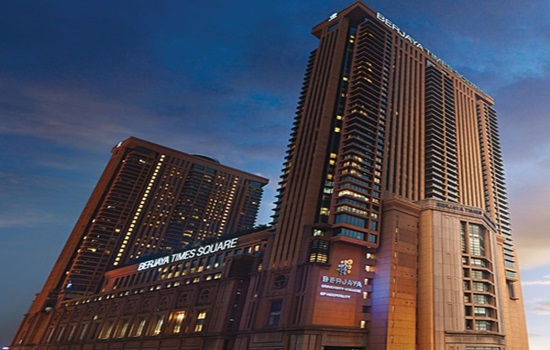 Berjaya Times Square is the one place that gathers under one roof shopping, dining, entertainment and leisure. This mall also has one of the largest indoor Theme Parks, Cosmo’s World. There is also Golden Screen Cinema with 9 Cineplexs that screen the latest blockbuster movies. One must also experience Malaysia’s first-ever IMAX 2D & 3D theatre which is located on the 10th Floor. The mall also houses the biggest ‘Borders’ bookstore in Malaysia where many latest books and titles can be found. 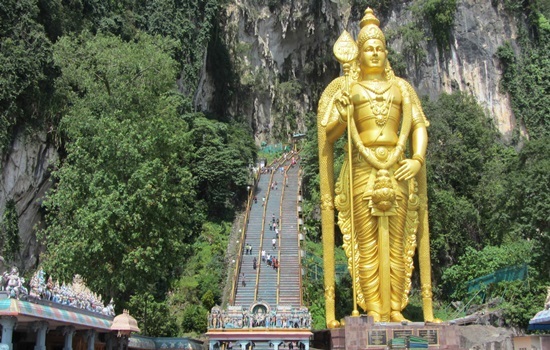 Located to the north of Kuala Lumpur, Batu Caves is a limestone hill and is considered as a sacred place for the Hindus in Malaysia. It consists of three main caves and a number of smaller ones. The Caves are made of Limestone, measuring 400 meters long, and 100 meters in height & these caves are believed to be 400 million years old. To reach the cave, rock stairs of 272 steps must be climbed. The biggest cave is the Cathedral cave, and it is here where you will find a Hindu Temple. Located in the natural surroundings of the Kuala Lumpur Lake, the Islamic Arts Museum is Southeast Asia’s largest museum of Islamic art. The museum houses more than 7,000 artifacts, as well as an exceptional library of Islamic-art books. The art objects on display range from the tiniest pieces of jewelry to one of the world’s largest scale models of the Masjid al-Haram in Mecca. These galleries serve as representations of the diversity of Islamic peoples and the multi-cultural heritage of Malaysia. Interest in Islamic art has grown enormously in recent years. 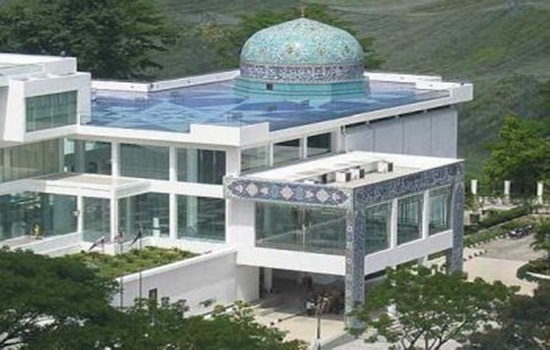 Reflecting this awareness, in December 1998 Malaysia became home to Southeast Asia largest museum of Islamic art. The building occupies 30,000 sq.m. situated amid the leafy surroundings of Kuala Lumpur's Lake Gardens. 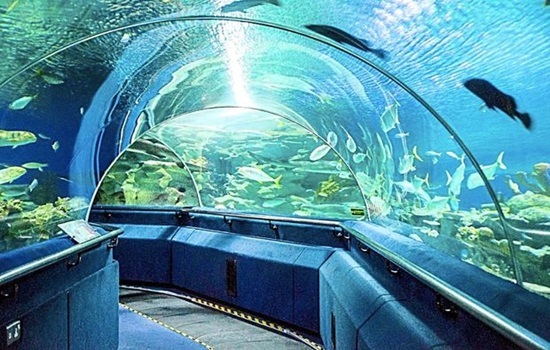 Nestled in the heart of the bustling Golden Triangle of Kuala Lumpur and within walking distance from the iconic Petronas Twin Towers, AQUARIA KLCC is a state-of-the-art aquarium showcasing over 5,000 different exhibits of aquatic and land-bound creatures over a sprawling multi-level space in the Concourse Level of the Kuala Lumpur Convention Centre. 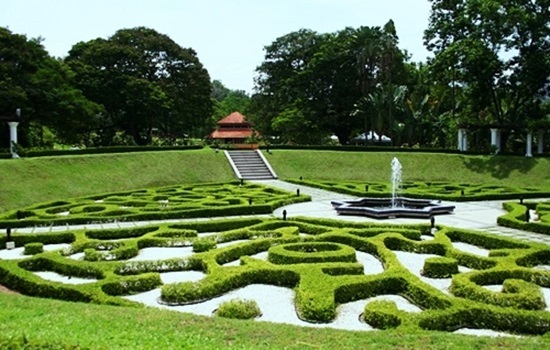 Lake Garden Park is Kuala Lumpur’s oldest and most popular park. It is located where the British elite used to build their fine homes in the colonial times. Lake Gardens offers locals and visitors a wide range of facilities such as playgrounds, jogging tracks, exercise stations and rowing boats. The KL Butterfly Park is home to more than 6,000 butterflies of 120 species which roam and fly freely in a simulated natural rainforest environment. 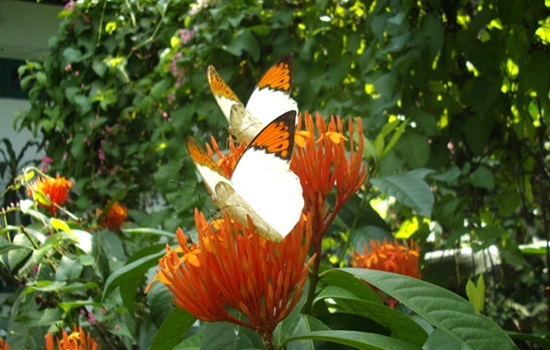 There is a nursery and breeding area for the butterflies. There is also a souvenir shop near the exit selling lots of local handicrafts and framed butterflies and beetles. Known as the "The World's Largest Free Flight Aviary", the KL Bird Park is home to more than 3,000 birds from approximately 200 species of local and foreign birds. Nature lovers can have a wonderful day watching colorful sights and the melodic sound of birds perching and winging. 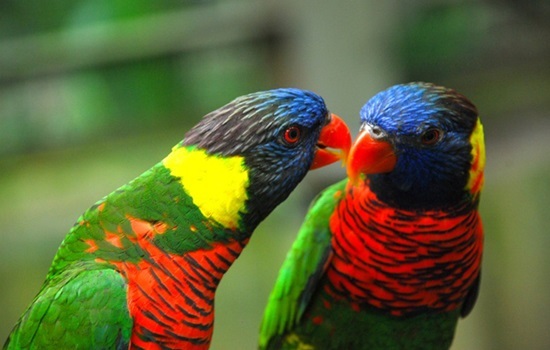 KL Bird Park is an ideal place for family and friends and even company outings.